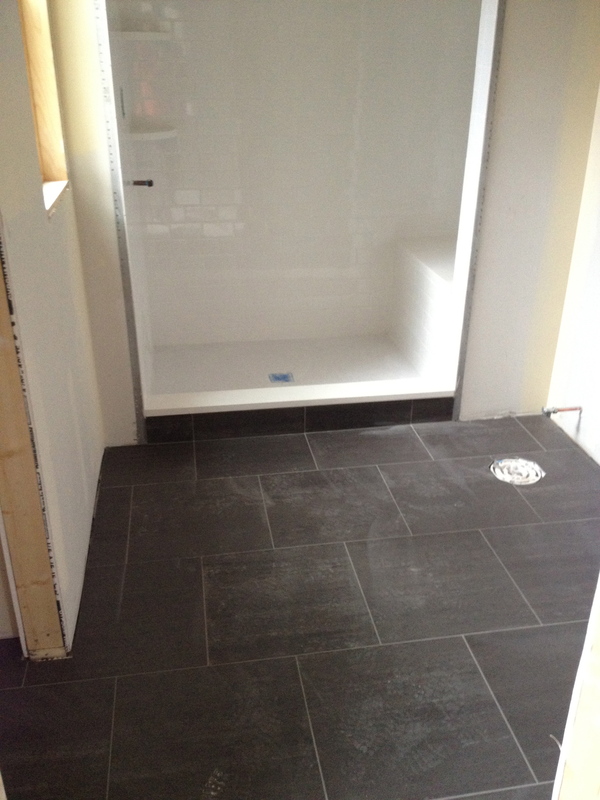 An important part of any renovation that includes a bathroom or kitchen will most likely be tile. 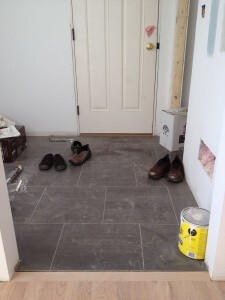 We are also adding a mudroom and chose to use tile as the floor surface for that room since it will see a lot of wear from dirt, mud, snow, and rain. 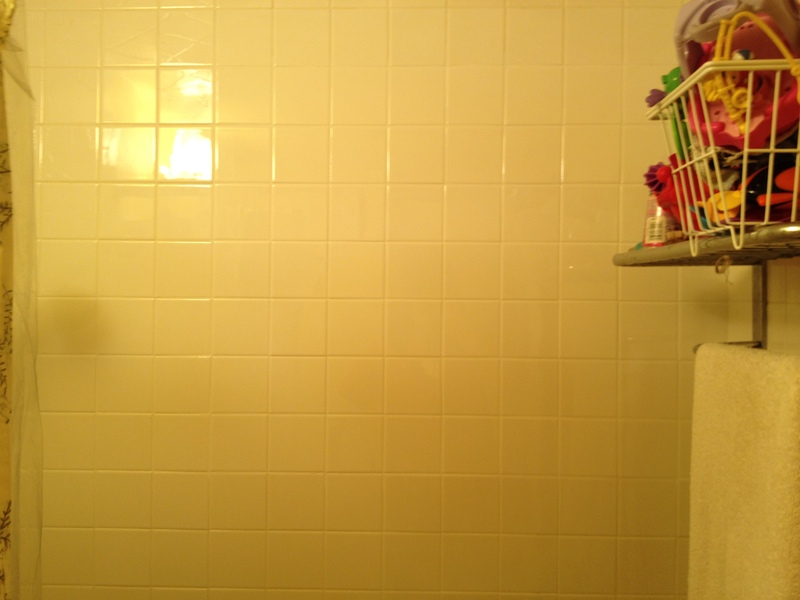 While we were having the work done, we also decided to make a small change to the tile in our old bathroom since it was going to need patching in the shower anyway due to the fact that the window that was there was going to be covered up in the addition. 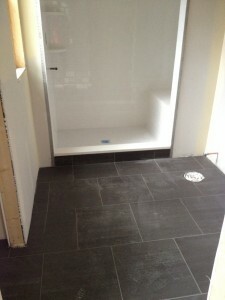 We took several trips to the tile store and gradually narrowed down our preferences to a dark tile for the mudroom and bathroom floor, with subway tile for the shower surround. 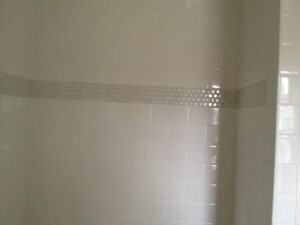 We still needed to decide on details for the shower pan and any extra colors or borders for the bathroom. As boring as it may sound, we chose the same tile for the mudroom/powder room and the master bath. 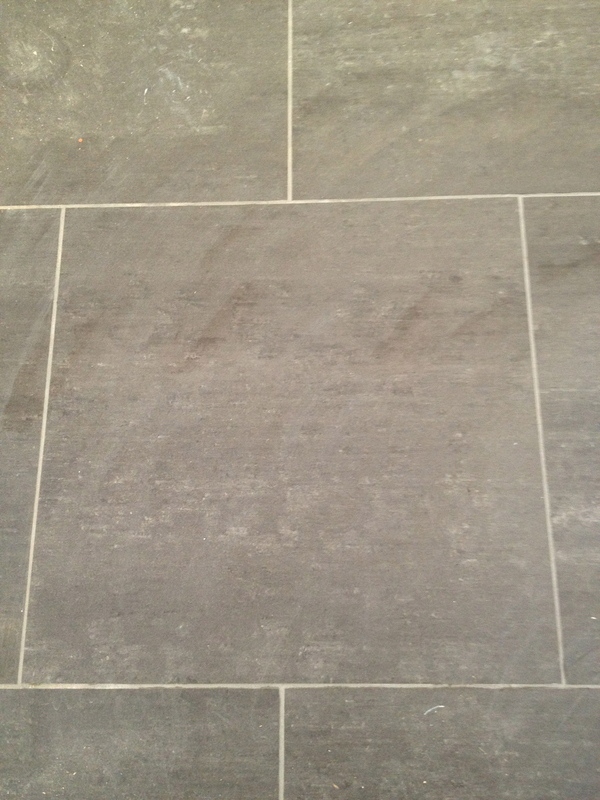 It’s a dark gray tile with some lighter gray streaking in it that was available in 12 and 18 inch squares. 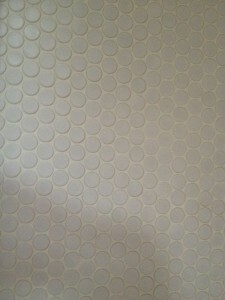 We elected to go with the 18 inch size and chose to have it laid down in a brickwork pattern. 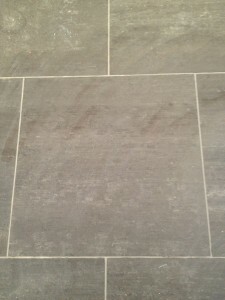 The grout is a medium gray. 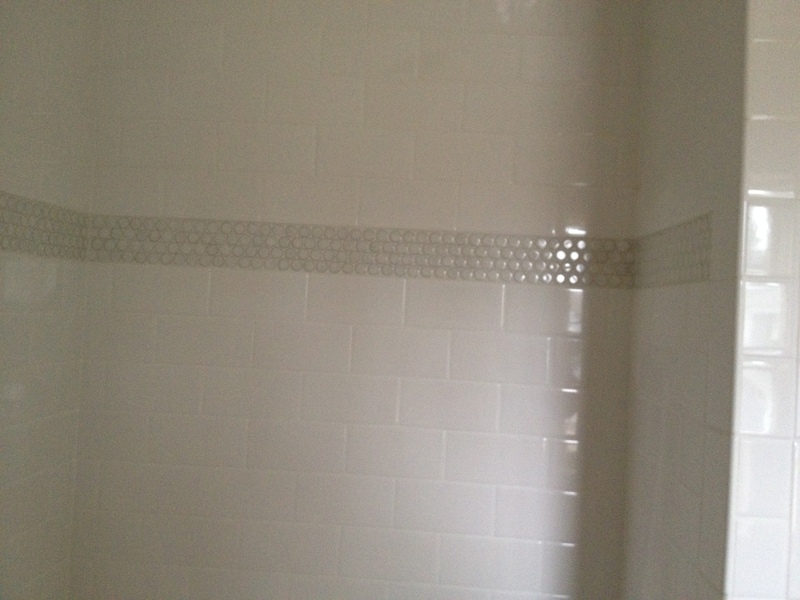 For the shower, we elected to have subway tile for the walls and ceiling, with penny tile on the floor and for one strip at about eye level. 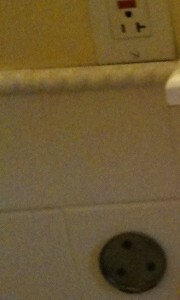 The shower pan tile was a matte finish, while the stripe was a glossy finish to match the subway tile. Our current bathroom also needed a bit of work on the tile. 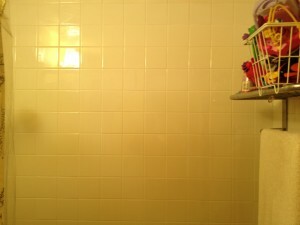 The bathroom had been remodeled by the previous owners, and they had chosen square white porcelain tile, but had topped off the tile outside the tub with a rope tile that was not our style. It also accumulated a lot of grime. 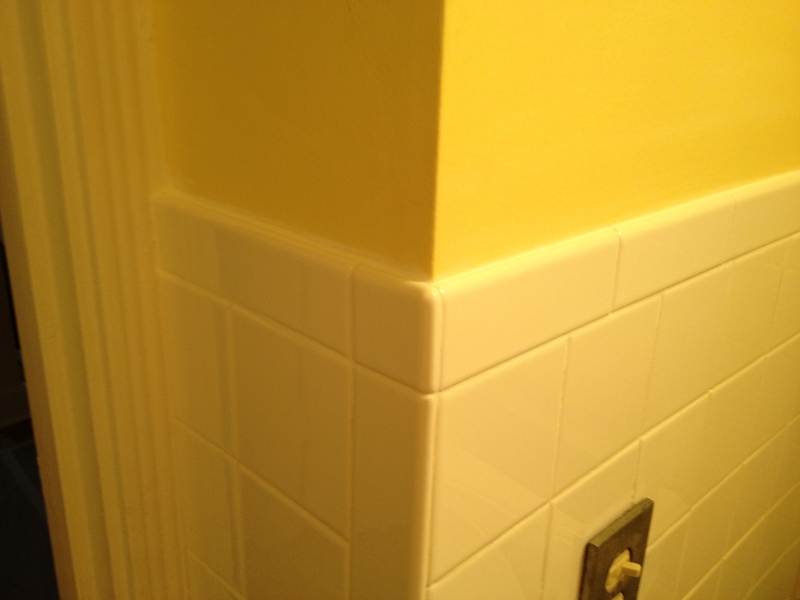 We had removed several soap dishes as well, and the old holes in the tile were patched with caulk, so we had the tile replaced. The rope tile was replaced with bull nose tile. 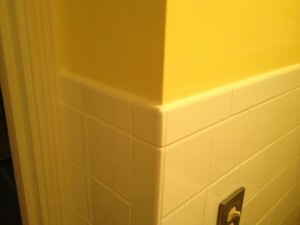 Bull nose tile that replaced rope tile. 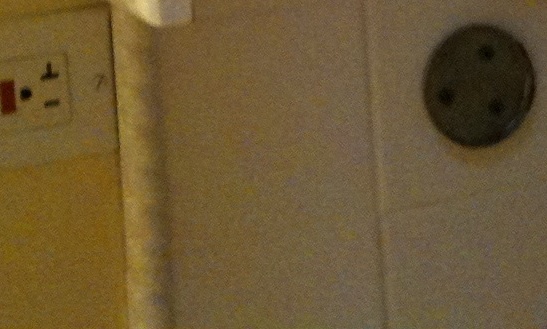 The window was covered up and the shower, you can’t even tell where it used to be. 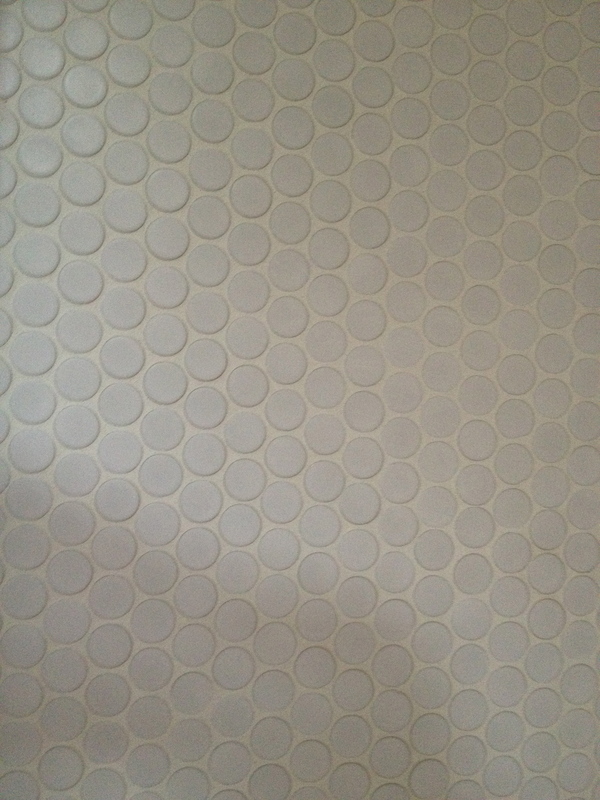 New tile covering old window in shower. The tile work in the old bathroom was really just a few small details but it really makes a big difference. 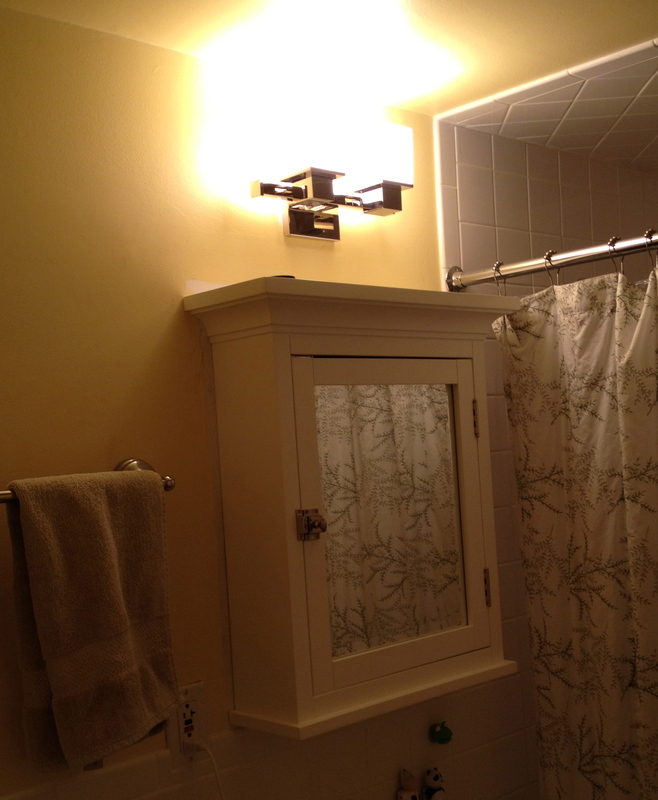 We also replaced the medicine cabinet and lights, and the old bathroom is finally how we want it, after being here for eight years.